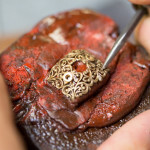 Engraving in goldsmithing is a technique used to embellish and adorn objects of all kinds. 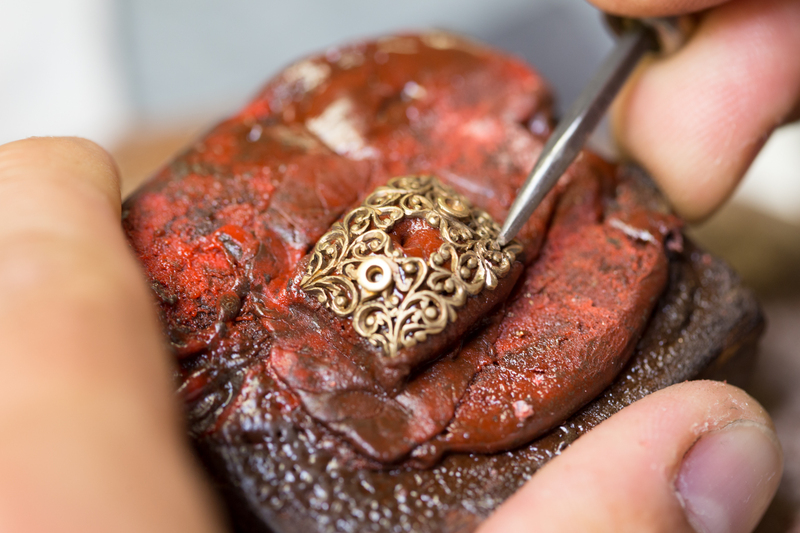 Traditional hand engraving entails carving out material from the object, without the use of machines and employing instead gravers and burins. Engraving is carried out on both flat and curved surfaces, according to a design prepared in advance. Monograms and crest wax seals designs can be engraved and even steel coin dies in order to inscribe medals and create all kinds of decorations. 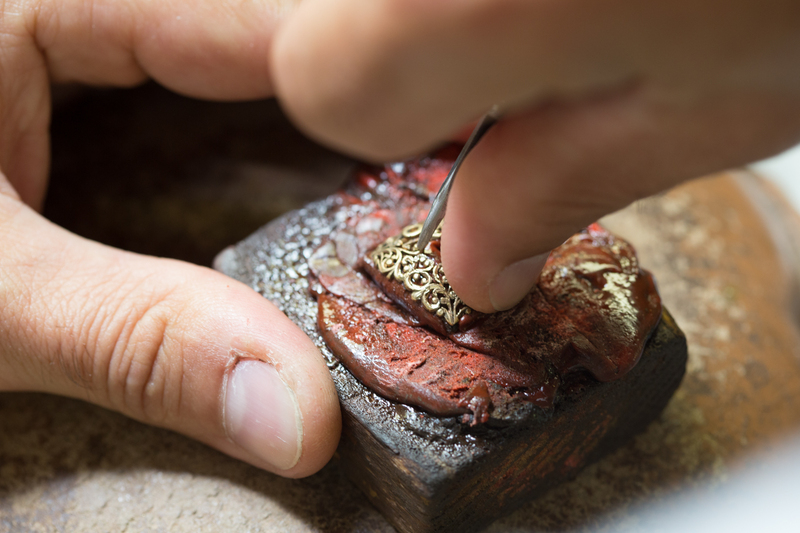 Engraving is required before enameling, cloisonné or champlevé. Engraving is a technique that features a wide range of applications and be carried out on different materials and in many different ways. 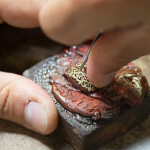 It allows to realize decorations using etching techniques on stereo plates made of copper or other metals used in old manual printing presses to print on paper. Dedications, monograms and coat of arms can also be engraved, for example, on silverware.